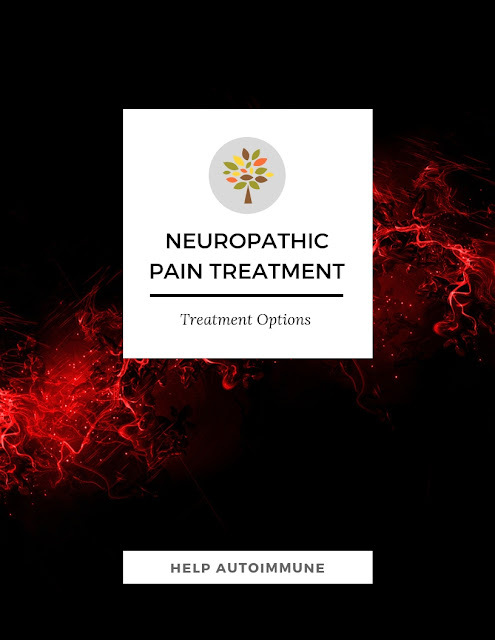 In a previous article we explained peripheral neuropathy and here in this article WebMD explain the treatment options. Anticonvulsant and antidepressant drugs are often the first line of treatment. Some neuropathic pain studies suggest the use of non-steroidal anti-inflammatory drugs (NSAIDs), such as Aleve or Motrin, may ease pain. Some people may require a stronger painkiller. Be sure to discuss the pros and cons of the medicine you take with your doctor. If another condition, such as diabetes, is involved, better management of that disorder may alleviate the pain. Effective management of the condition can also help prevent further nerve damage. In cases that are difficult to treat, a pain specialist may use an invasive or implantable device to effectively manage the pain. Electrical stimulation of the nerves involved in neuropathic pain may significantly control the pain symptoms. I have Sjogren's Syndrome, Polymyositis and also Fibromyalgia all of which are know to be associated with peripheral neuropathy. I was diagnosed, through an EMG, with peripheral neuropathy in 2017 even though I have had the numbness and tingling for over 10 years. These symptoms were in my toes, feet, calves, fingers, hands, wrists, forearms and lips and sometimes my tongue. Finally a new pain rehabilitation specialist prescribed anti-depressants for this neuropathy and within 3 days the symptoms were gone. Apparently the antidepressants block the nerve pathways. I don't really understand as I am not a medical specialist just very happy that I no longer have the burning, electric, numbness and tingling sensations. I was not depressed but this is the treatment that works for me. I have taken many other treatments in the past including Tramadol and Lyrica but they all gave me bad side effects which you can read about here. Recommended by my podiatrist. Really cuts the pain. Please, please give it time. You are not going to get instant results.....But I have used for two months now and am very pleased with its effectiveness compared to another product I was using. There is no fragrance and it's easily absorbed into the skin. What relief this product has brought to my painful feet! Did you know I am an Amazon Affiliate? This means if you do happen to purchase anything through my link I get a small percentage (5% or less) at NO EXTRA COST TO YOU. Hi, yes pain is an extremely common condition. Great to hear from you.